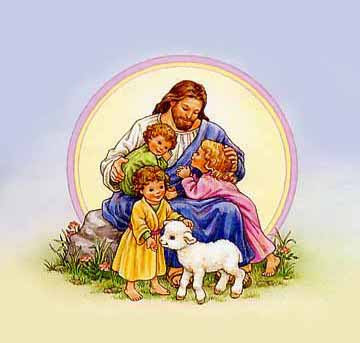 Children are a heritage from the Lord, offspring a reward from him.~ Ps. 127:3: What Really Matters? I am learning so much about what really matters. I have so far to go, but I wanted to share a small tid-bit on my heart today. I struggle as a stay-home, homeschooling mom. I do struggle. It's not a fantasy. It's a calling and not everyday to I give my heart 100% to that calling. I am still a selfish human, still learning to surrender to my Shepherd. This simple verse though in Malachi is not really so simple. It states what God desires....he desires Godly offspring, not just offspring, not just cute, sweet, fun loving, eager offspring but GODLY offspring...that means we have a huge job to do. And as a homeschooling mom I am responsible for everything I choose to teach my children, what curriculum I buy, what/how much we do each day, redirecting our focus if it gets off course. I want my children to be anything they want to be in life. I want to give them the world....that is what most parents say right? But, I am re-dedicating my focus to give my children the Kingdom, that is so much better, so much more biblical than giving them the world. Last week I was learning to Get Up and Start My Journey for the Day and this week I am learning to redirect my focus on my motherly and educational teachings, and remember what really matters...the Kingdom. God is coming soon and the sooner the better. I want our home to be ready to meet him face to face and say "we lived it all for you my King, all for you my Love." I love this post Dawn. It is SO true. Thanks for sharing this.